James didn’t decide to live on the streets and be a homeless child, but he didn’t have any alternative. James is an extremely outgoing and charismatic 13 year old child. He came to Amani in February 2016 and in no time he made friends with all the children and caregivers, always being eager to start a conversation. James didn’t decide to be a homeless child and live on the streets, but he reached a point in his life when he didn’t have any alternative. Born in Simanjiro (northern Tanzania) to a family of farmers, he was going to school and living a simple but happy life. When he was 10 years old his uncle visited from Singida (200 km away): he suggested to take James with him to Singida where, being a larger city, he could get better education. James’s family, as many rural families in Tanzania, was struggling to send all the children to school. So they thought going to Singida could be a good opportunity for James. His uncle’s intentions were not as good as he showed during his visit. 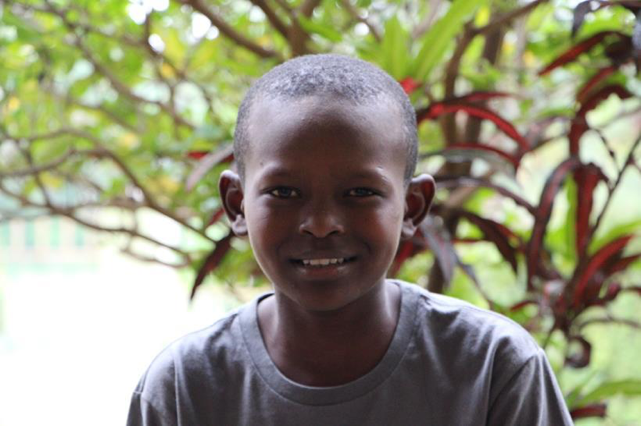 In Singida James was enrolled in school, but he had to pay a high price for that chance. Every day after school his uncle made him work until night taking care of the livestock and he didn’t have any time to study or do his homework. On top of that, his uncle didn’t give him any food and he had to make do with the porridge he was given at school. After some months, he realized he could not go on like that. But James didn’t have many options: he couldn’t communicate with his parents and had no money to go anywhere. So, what did he do? Just leave and try to find his way back home. When Gasper (one of our street educators) met James he was in Arusha (500 km away from Singida) and he was stuck again. He had been in Arusha for some weeks and he was selling discarded plastic bottles to survive. After a whole day of picking bottles, he was lucky to get enough money for one basic meal. If Amani wasn’t there, James’s story would probably be one of a homeless child. And if YOU weren’t there, Amani wouldn’t have been there. It is our generous donors and the members of our monthly giving Club who make this possible. Our monthly donors give us the regular income we need, to know that we can accept every child in need and that we will be able to take care of them – day in day out – as long as they need. If you want to become a monthly donor, check our Donate section and join our Monthly Giving Club! Next Why an Amani satellite branch?